The Raging Pelican, an anti-authoritarian newspaper critical of the Gulf Oil Spill, was not allowed on Tulane University's campus last month at a public meeting called by the Federal Government. A University of New Orleans student was escorted off campus, onto the public sidewalk of Freret Street, for handing copies to his friends. 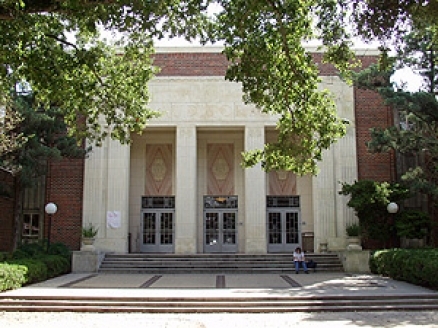 To the left is a photo of McAlister Auditorium on Tulane's campus where the public meeting was held on August 4, 2010. See the articles that are in the inaugural issue of "The Raging Pelican: Dispatches from the Louisiana Gulf War"
Listen to the confrontation with - and reasoning of - Tulane's campus security.